I remember many years ago how I used to struggle with my life. Many times I worried about not having enough money, my future, maintaining success in my chosen career, and just my general sense of security. This was of course all related to my lack of self value. There did not seem to be enough structure, I felt vulnerable and insecure. I constantly applied action to actively make sure I did not fail, or end up poverty-striken. Through these actions, I inadvertently was feeding the non-truthful fear-based energy within me. This only brought more insecurity, and increased the likelihood of more experiences turning up in my external reality to validate, and to give me a good reason and justification to work harder to get my life right. The stronger the lack structure became from repeatedly manifesting this non-truthful reality, the more I struggled to fix what I perceived wrong or broken in my life. In many ways, it strengthened and locked myself further into the structure of lack by my actions. During this period I was also working on the recognition of spiritual truth. To actively, and consciously, give attention to what was spiritually true, as opposed to what my mind and past conditioning was telling me was real. 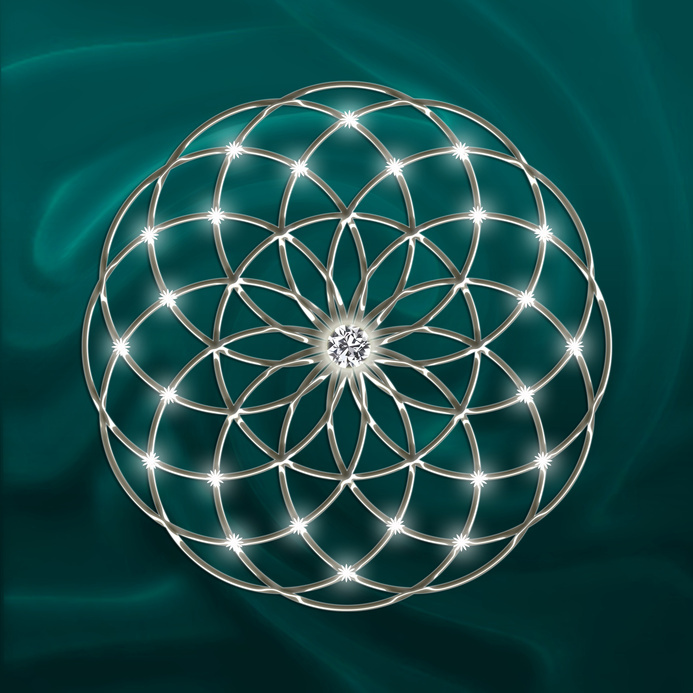 Through my understanding of universal laws, I realised what I gave attention to, I made more real in my conscious reality and consequently influenced all of my experiences. It dawned on me one day If I gave more attention to what was spiritually true, I would start to change my current reality and experiences into a more loving and joyful existence. I also came to realise what burdened and caused fear could be done away with simply by strengthened truth in my life. All negativity experienced is directly related to giving energy to, believing in, or validating non-truth. Why? Because all truth is positive. So anytime I feel negative in my emotions I know I am feeding a non-truth, because that is the only way negative experience can be generated and manifest. So in the moment of recognising negative emotion, I can continue to support and strengthen it, or make a conscious decision to look for what is real. By doing this, I am giving attention to what is real/truth, and at the same time diverting my attention away from feeding and empowering non-truth. If I consistently do this everytime I become aware I feel negative, I will through time totally change the balance and quality of my internal energy and in a very real and positive way, change my life and its experiences. When I feel insecure or have fear of the future, I am simply not believing in the truth of my life and why I have the experiences I have. I don’t believe every experience I have serves the positive purpose of expanding my soul’s consciousness. In essence I believe in the lie of mistakes and non-perfection. When I understand the truth of my life and understand why I have the experiences I have, I naturally stop trying to resist it, struggle with it, or attempt to fix it. Truth is, all experiences I have serves a positive purpose in expanding my soul’s consciousness, stepping it closer to a perfect vibrational match and harmonic with the bigger piece of God (Home). I also believe my life is perfect in every way and in every experience, simply because my human journey is unfolding within a divine plan that has no flaws. All negative perceptions and the consequential experiences I have as a rsult are “MIND MADE” and are created and conditioned from perceptions held at the time of past experiences. Our past and current perceptions create our future – we are all powerful creators of our own worlds, simply because we are all each and everyone of us little pieces of God, and after all, God is a creator being. It is in our make up to create. In fact, it is our reason for being. Creation awakens consciousness, allowing us to have a more direct experience of who we are – God. The higher level of consciousness experienced – the more God like our reality and actions become. So when I give attention to the truths about my life and its unfoldment, I lose the desire to fix my life. I lose the desire to worry about my future. By strengthening truth in your life, you free yourself from the self-imposed jail that we as humans create for ourselves. Trusting in the perfection of your life, allows you to experience the love and joy of your true existence. It affords you a positive and truthful life, which is of course your divine right as a little piece of God. Remember it is always your mind and its conditioning creating the negative emotions that you may feel. Your truth is always positive. If you are needing help with changing your life, and moving more into alignment with what is truthful. To live with a greater sense of contentment and joy, contact me to discuss ways in how I can help you. Contact me on – info@trevorgollagher.com Regardless of where you live in the world we can work together to create the life that you deserve. This entry was posted in Uncategorized and tagged abundant life, consciousness, contentment, divine plan, enlightenment, happiness, healthy-living, how can I be happy, law of attraction, meditation, negative experience, starseed, trevor gollagher, universal consciousness, whats my purpose in life, yoga. Bookmark the permalink. I just had an awakening what I and Oprah call an “AHA! Moment” Thank you Trevor! How incredibly helpful I found this, many thanks.